Regardless of the crime committed, being sent to Costa Rica’s maximum-security San Lucas Prison was a death sentence for many. The poor living conditions paired with frequent and varied torture methods ensured pain and suffering for those serving time on the small, remote island. Checking out one of the many cells within the haunted San Lucas Prison, Costa Rica. The prison was operational from 1873 through to 1991. It was built to house Costa Rica’s most fierce and feared criminals including thieves, murderers and sexual offenders. The San Lucas Prison was strategically built on an island off the coast of Cost Rica to keep criminals as far from the community as possible, whilst quelling escape attempts. Because of these design features and the notoriety it gained as the most feared penitentiary in the country, the San Lucas Prison has been likened to the United States’ Alcatraz Federal Prison. One of the more crumbled buildings of the abandoned San Lucas Prison. Since the prison’s complete abandonment in the early 90’s it has been left to crumble, rot, accumulate trash and become overgrown. Heavy emotions such as fear, anger, lust and sadness continue to linger. Literally being etched onto cell walls in the form of crude inmate graffiti. 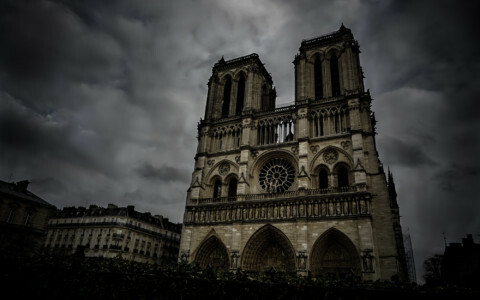 It is even rumored that some of the disturbing artwork was created with human blood, since artistic mediums were scarce. Doorway into solitary confinement cells at the San Lucas Prison, Costa Rica. Murders of both staff and inmates, suicide and disease ensured that the San Lucas Island saw an extreme amount of death. Pairing this with the high emotions and harsh conditions thrust onto this island’s former occupants has created a likely recipe for paranormal activity. Is Costa Rica’s San Lucas Island haunted? 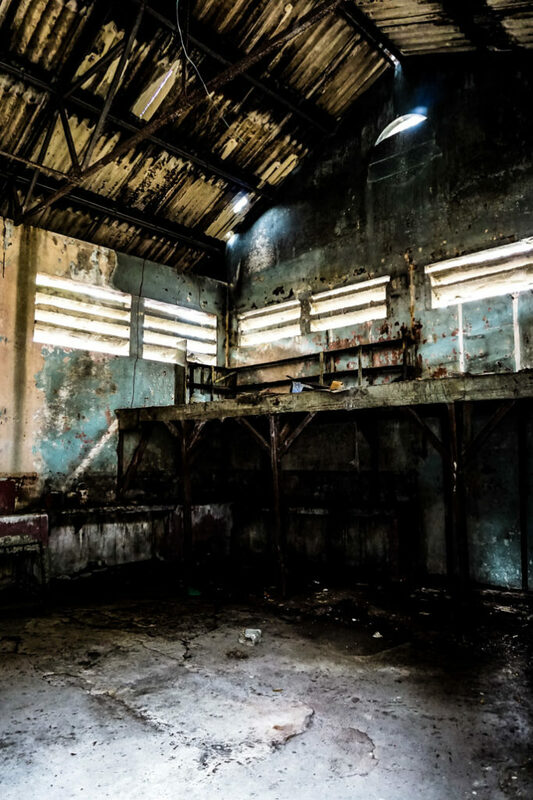 Make shift morgue for the now abandoned San Lucas Prison, Costa Rica. Adventurers who make the journey to San Lucas Prison are greeted by a place that boasts some serious energy. Walking through the dank, rotting cells where up to 60 men were crammed at a time, or the underground cells that were often filled with water and raw sewerage, makes you appreciate your freedom. 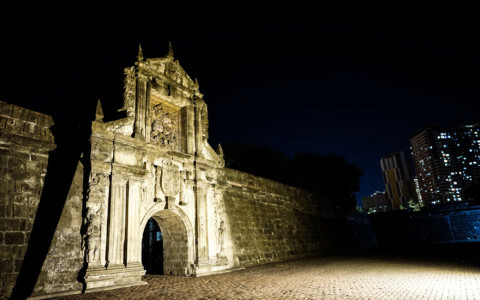 It is the eerie nature of the island, paired with the horrific history of the San Lucas Prison that has led to the formation of many ghost stories. San Lucas Prison building showing the extent of decay. 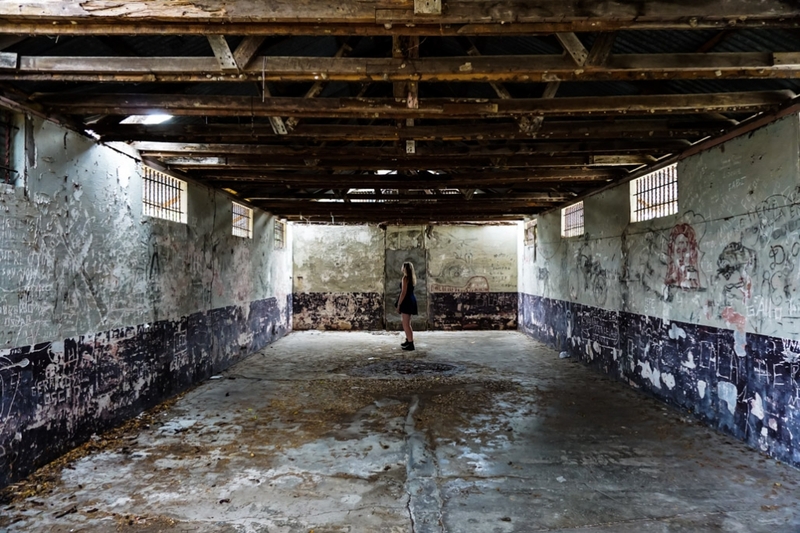 The most prevalent story suggesting that the San Lucas Prison is one of the most haunted places in Costa Rica involves the ghost of a former nurse. It is told that one of the prison’s female nurses was raped and murdered by inmates. Since her death, she has remained trapped at the island, unable to pass over. Many have claimed to sight her apparition and even heard her voice whisper to them. Many have also reportedly seen the spirit of a priest, who may also have been murdered by inmates, roaming the ruins of the decaying prison. Another cell showing the inmates’ graffiti of the San Lucas Prison. Aside from these apparitions, countless other claims of hearing disembodied voices begging for mercy, screams and cries echoing through empty prison cells have been reported. 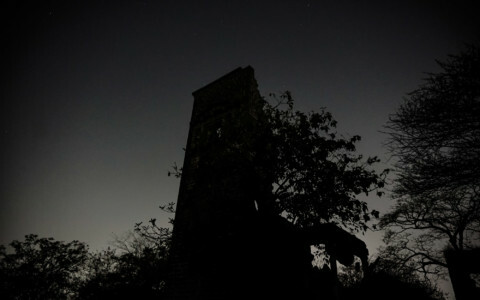 Many have also claimed to witness shadow figures darting about the empty prison at night. In the middle of the prison yard, standing a top the water tank where torture was undertaken. If you are interested in learning more about the paranormal occurrences on the San Lucas island, check out a paranormal investigation, including EVP recordings and Spirit Box sessions, I did during my visit there. 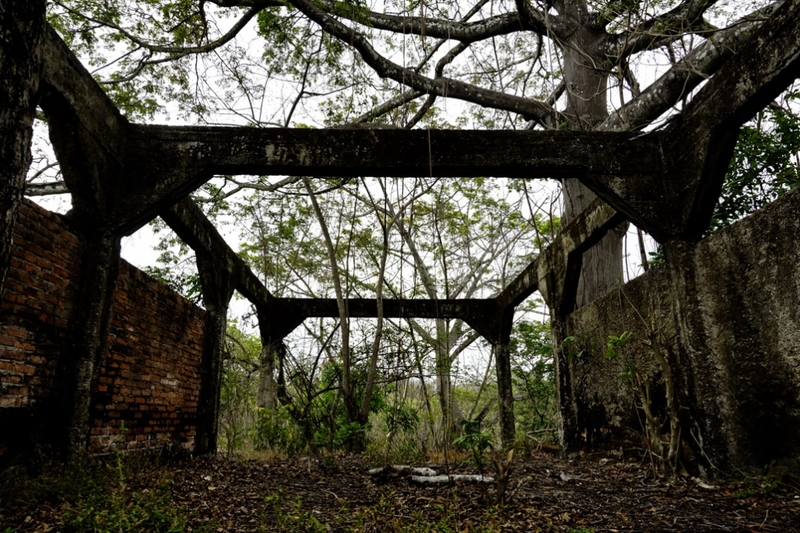 Another rotting, abandoned building on San Lucas Island, Costa Rica. 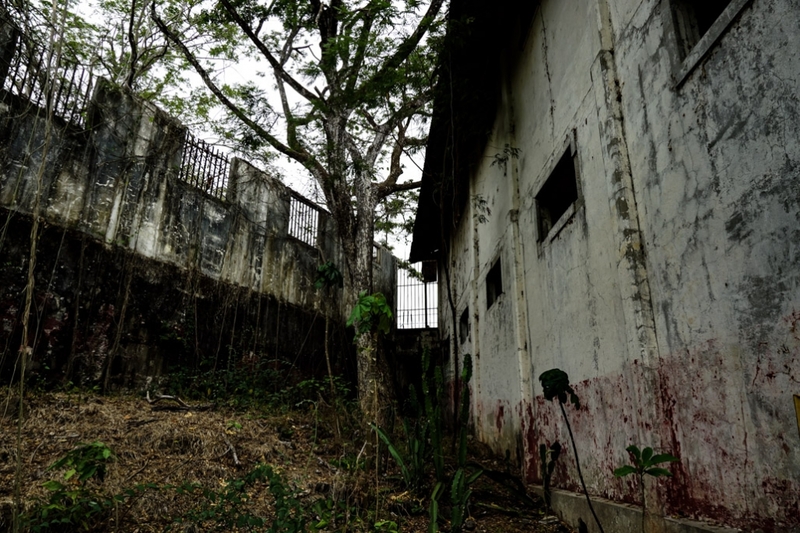 The haunted San Lucas Prison is located just off the coast of Costa Rice, about a 45-minute boat ride from Puntarenas. Though the island is now a national park it is not easily accessible. Tours run through differing companies in Puntarenas sporadically and usually only on weekends. It pays to check ahead of time for their dates or you’ll end up having to charter a boat privately as I did (though the benefit of this is you’ll have the entire island to yourself). 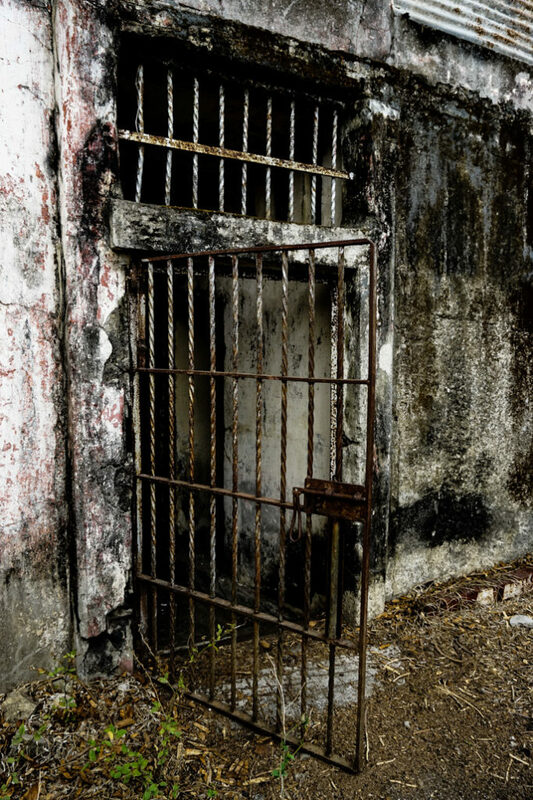 Exterior of the cells of the abandoned prison. Arriving at the island is eerily beautiful. You’ll be greeted by an gnarled wooden pier and a handful of vultures who’ll watch as you enter. Most of the buildings are able to be explored. I recommend wearing enclosed footwear and watching your step as the ruins seem quite unstable. 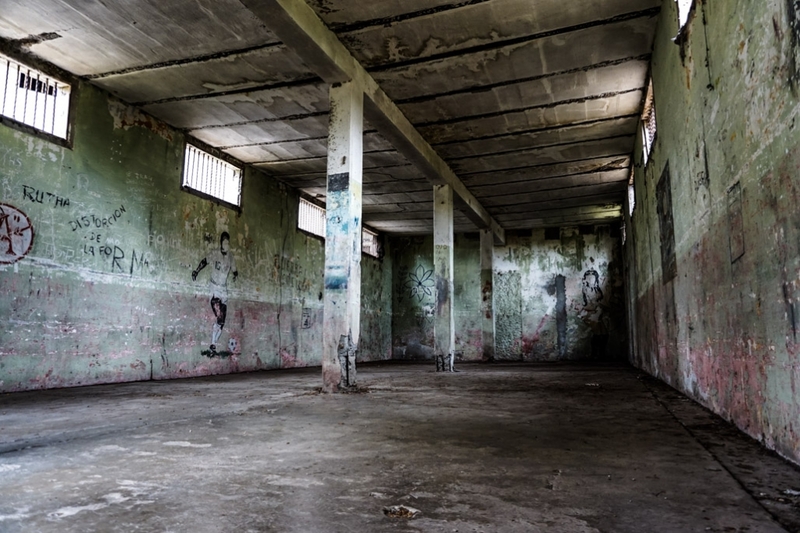 If you are lucky enough to have a good guide, they’ll explain each building’s purpose, show you some of the inmate graffiti highlights and share gruesome murder tales with you. Inside the San Lucas Island Prison’s hospital, which has seen much death. This is definitely one of the creepiest places I have visited and an amazing experience. I recommend a visit to anyone interested in history, the paranormal and urban explorers. It is a truly haunting and unique place in Costa Rica. 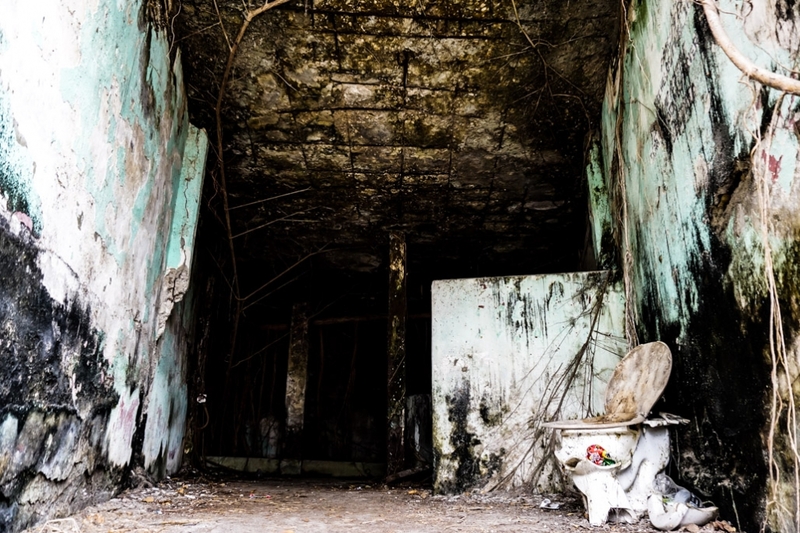 If you enjoyed this read and are looking for other creepy places to explore in Central America, I recommend checking out the haunted San Fernando De Omoa Fortress.